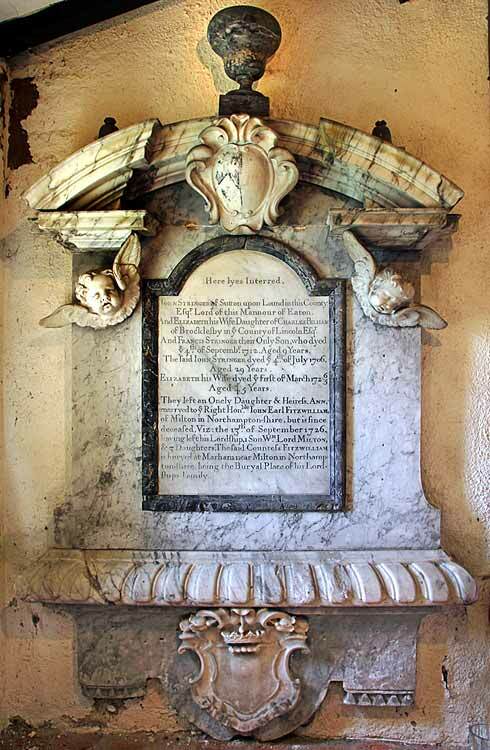 There is a monument to John Stringer (died 1712) in the vestry. of Brocklesby in ye County of Lincoln Esqr. ye 4th of Septembr 1712, Aged 9 Years.